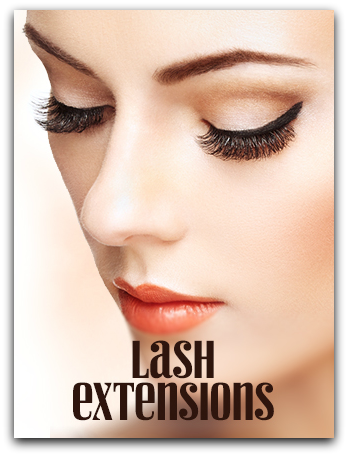 As you probably already know, lash extensions are the hottest thing in the beauty world right now (the practice of placing synthetic lashes on existing lashes to increase their length, thickness and fullness). Because of this craze, beauty technicians (from hair stylists to estheticians) are adding the service to their menu to capitalize on the frenzy. However, many have not been properly trained, nor taken the time to perfect the craft: instead, they end up clumping fake lashes onto their client’s natural lashes or skin, ultimately causing breakage and even hair loss across the lash bed, giving the procedure a bad reputation. The technicians at Beauty Hideaway are true Eyelash Extension Artists who do nothing else except lash all day every day. They are not only passionate about their trade, but very meticulous, taking the extra time required to isolate just one lash at a time, instead of dropping a synthetic lash with a bunch of glue on top of several lashes or even the skin like non-seasoned technicians. The result of their fussiness is absolutely breathtaking work! Come check it out for yourself and see why we’re different! You’ll enjoy a private and peaceful environment to rest while getting lashed. And Beauty Hideaway Artists are comfortable chatting with you during your session, or letting you catch up on a much-needed nap. With this technique, our Artists place one synthetic lash to each one of your own natural lashes, producing a beautiful, yet more natural-looking outcome. This Russian technique requires the handiwork of an extremely talented and patient Artist as she places between 2-6 synthetic lashes on each natural lash, creating a very dramatic effect.